Easter is upon us. Are you eager to celebrate this Resurrection Sunday? Or is Easter this year just another of those ‘special’ Sundays that come around every so often? I’ll confess this year Easter has kind of crept up and I haven’t reflected and prepared like I should have, or even as I’d like to have. I have found that taking a little time to remember can go a long way to restoring my eagerness to celebrate. A great Easter memory, and reminder for me, was our first Easter in Russia. We found the Russian people in general to be stoic and cynical; not open to displaying much emotion, unless it was anger. But at church on Easter Sunday, people were rushing around greeting one another with “Christ is risen!” and the response “He is risen indeed!” The greeting and response were very familiar, but the enthusiasm with which it was delivered, and the expressions of joy on those faces were at once startling and infectious. each of us are worth that cost!" Having the freedom to express themselves in such ways was still relatively new to these Russian believers and so they took advantage of the opportunity – with gusto! Having enjoyed such freedom for my entire life I was a little taken aback at the excitement of my fellow believers. Then I realized that I was in danger of being complacent. Complacent at the death, burial and resurrection of the very Son of God?!?! How could that be? Yet it is so easy to become complacent, to be satisfied and comfortable with the way things are. To take for granted the privilege we have to celebrate Easter Sunday. Remembering that Good Friday and Easter Sunday are inexorably intertwined is perhaps the greatest way to avoid complacency in this season. 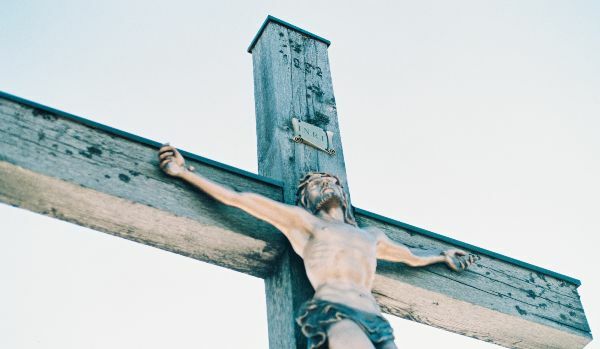 Remembering that Jesus died for my sins, and not just died but died in the most horrible way, bearing guilt and shame He did not deserve, suffering separation from His Father; this prepares my heart and mind for Easter. Remembering that He did this knowing full well who and what I was before He transformed me and recognizing He would have done if I were the only sinner in the world humbles my spirit and fills my heart with gratitude for my Savior and my God! I hope you can come and worship with the MCC family on Good Friday evening. What a great opportunity to remember what Christ has done for you and at what great cost. Praise Him that He thinks each of us are worth that cost! And in that worship and remembering may your heart be truly prepared to celebrate the wondrous resurrection of Jesus on Easter Sunday. "Complacency is the deadly enemy of spiritual progress. The contented soul is the stagnant soul." Don’t let yourself be complacent about Easter. Remember! Rejoice! Am I a reluctant volunteer, or do I like to decide what I prefer to do for the Lord? Is my serving about pleasing me, or am I being obedient in serving the Lord where ever He is at work? Many times I have asked myself these hard questions. Over the years I have either volunteered or been asked to do many things in the churches we’ve attended. However, Sunday School and Vacation Bible School were two areas that I deliberately avoided, justifying that I was not gifted to be a teacher. We raised five kids, and I loved working with them -and now the grandchildren. In fact, I still enjoy working one on one with any kid; watching their minds expand with excitement learning about life and Jesus. While I adore kids individually, I just don’t want a herd of them at one time. Thus, I carefully avoided VBS for many years. "We built memories with the kids and increased our reliance on the Lord that week." Little did I know that my lifetime withdrawal from VBS was to be overcome when the Lord brought us to Mountain Christian Church after a move from California. Conviction soon followed with what I thought was a safe volunteering opportunity for me as part of the VBS prayer team. I like to pray; I believe in it and appreciate that MCC undergirds our VBS teachers and kids in prayer. Two days into the week of praying I was hooked with stories of how God was working in the lives of the kids, their parents, and the workers, and how the Lord was covering all the mishaps and emergencies. The following year I was planning on signing up again to support the VBS week in prayer. Then came Nicole Barker and Paul Brouse walking toward us with those big confident smiles of theirs, and Paul saying that they had the “perfect fit” for Don and I helping with VBS. Perfect fit sounded good and after all I really trusted both Nicole and Paul. Little did I know that what they had in mind was an important part in a ‘cave’ – and with dialogue. Not exactly my idea of a comfort zone; but we were willing to trust the Lord to equip us. Kids loved the cave, but no one had more fun than we did! We built memories with the kids and increased our reliance on the Lord that week. I was still finding it difficult to say no to Paul again last year with his “we need you” approach to our working with crafts. Sure, I’ve done crafts over the years but not in a large group; and Don does woodworking not crafts. This was not where I would have volunteered. Yet as the week unfolded, I knew that Paul and Nicole had placed us exactly where God wanted to use us, and I still got to interact one on one with the kids. I’ve learned that neither my older years nor infirmities need to hold me back from having fun, and enjoying the satisfaction that comes from investing in the lives of the precious kids that come to MCC’s VBS. I fondly remember the hugs from some of the kids that were hugging us just because we were there. I don’t want to just volunteer for VBS. I want to experience it all: the joy of seeing both kids and parents experience Jesus anew; the excitement of getting to know how the Lord is working; the tiredness; how everything comes together beyond all the planning; and I want to be used in the comfort zone of God and not of my choosing. 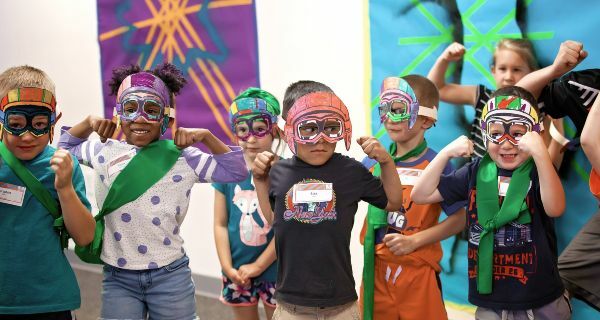 Click here to learn more about MCC's 2019 VBS: Power Up! and sign up to volunteer! The New Year began with great movement at Juntos and continues to speed along! 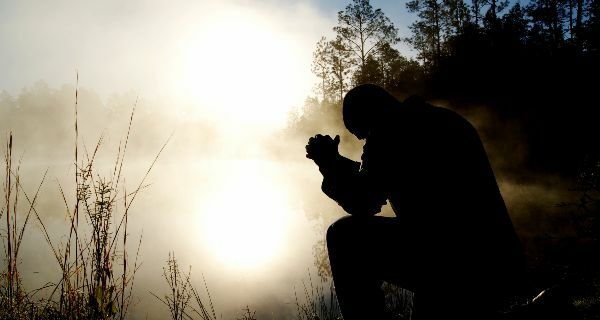 In the year-end summary, that I sent in December, there were several requests that we asked you to pray through. God is already on the move and answering in surprising and gracious ways! Nine new kids have begun attending Juntos on Monday nights. One of our staff, Joy, has begun prayer walking a nearby mobile home community with the mama of two Juntos kids who live there. We are praying for openings into all four of the communities that surround us. Our learning lab is up and running with amazing new volunteers, enthusiastic kids and supportive parents. The relationships being formed are priceless! Speaking of volunteers, we have had two trainings with incredibly committed, excited and qualified people from the community. Most encouraging to me was the first meeting of our new advisory committee. It is comprised of parents, volunteers and former students. I am grateful for this group’s support and for their wisdom as we, together, listen to the Lord and plan the future of Juntos! Thank you for your role on our Juntos team as God continues to privilege us with many opportunities to love and be loved by our community! That sounded pretty hopeless, particularly because no one seemed to live up to the best he knows, whether it is by God’s standard or his own. What’s more, neither religion offered Khayyam any answer. In both, God is viewed as impersonal and the only possible way to please him might be to do enough good to overcome the bad. Doing that much good sounds hopeless enough, but then one never knew how much was enough. While all of the world’s religions may contain some elements of truth, all are deficient because they all represent man’s attempt to reach God. What’s remarkable, is that God has purposefully made Himself and His plan known through the Bible. And He revealed Himself not through just one prophetic writer but through many men over many centuries. In the Bible, He revealed that He is actually a personal God and His purpose was to send a Savior to reconcile us to Himself, One who would rule eternally with us in His presence. When I would ask African Muslims why they came to Bible Study Fellowship and stayed, the common answer was 1) it was clear that what was taught was true to what the Bible said and not some group’s particular ideas and 2) since no one twisted my arm to become Christian but relied on the truth of the Bible, I knew that when I was being challenged, it was from God. For those Muslims who believed and received Christ, the most important effect was being certain that they will go to heaven, because it depends on Jesus and not their own goodness. None of us measure up and we all know it, no matter how hard we try to cover it up. The truth is that God is a personal God who wants to reconcile us to Himself and He has provided the means to do it. John 3:16 tells us how He expressed His love --- “For God so loved the world that He gave His one and only Son, that whoever believes in Him shall not perish but have eternal life.” That is God’s expression of love to all mankind, no matter how badly we have failed to measure up. And it is made effective in us when we consciously put our faith in His Son, Jesus, and His death and resurrection. This verse is familiar to all of us. Maybe it is too familiar making it is easy to forget its impact. This verse contains the message God has for all mankind. It gives us a confident, secure hope and a future. It’s what we have as believers and what we have to offer others. And it’s the very thing we celebrate this Easter season. Our Missions Team is pleased to share an exciting opportunity to spread the Gospel message and to provide ways for our congregation to be involved. Working with Cooperative Outreach India (COI), we will be sending Emily, Hana, Heather, and Donna from our congregation to India to help with COI’s Vacation Bible School the first week of June. 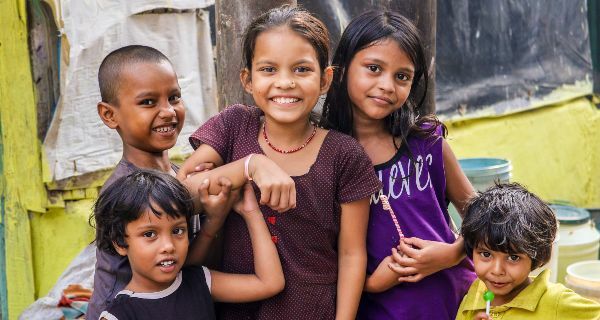 This VBS hosts 1,000 children (nearly all Hindu or Muslims) from very impoverished neighborhoods. Thirty buses will bring children to the VBS location each day where they will experience a curriculum, teaching, food, and love very similar to what we do at our MCC VBS each summer. Our church is fully funding the cost of this one-week VBS for all 1,000 and our volunteers will assist with running the VBS and sharing God’s love with the children they meet! Many in our congregation have a heart for India. We all know that Christians are actively persecuted in India. Yet, we also know that there are many in India who yearn for the good news of Jesus Christ and the eternal salvation that He offers. We are excited to become involved with COI and the work they do in India. COI focuses on the unreached and often forgotten in the most impoverished areas of Delhi and other locations. Children are a major part of the COI ministry and are reached through VBS, COI run schools, and child sponsorship programs. COI wants us to send volunteers from our congregation to be a part of the COI programs, whether it is participating in their VBS, teaching at one of their year-round schools, or helping to construct water wells in more remote regions of India. As you can see, there are many "handles" for our congregation to grab hold of to get involved as we work to obey the Great Commission. 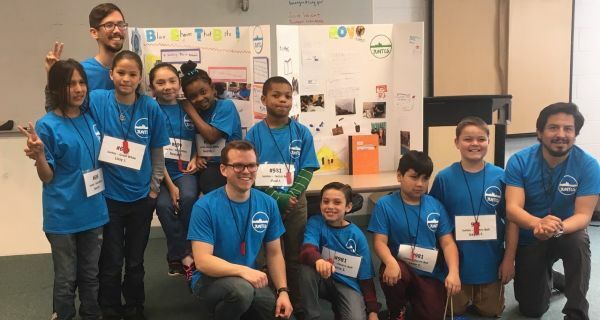 We see our involvement with COI as being very complementary to our current missions programs including providing more ways that we can become directly involved with COI staff, students, and volunteers. Please consider getting involved by joining our team traveling to India, praying for Emily, Hana, Heather, and Donna, and all of the children who will participate in VBS. If you have a heart to join our team, please contact Tom O'Brien in person or by phone at 505-350-2121.